Clove cigarettes, often referred to as “kreteks,” are a mixture of cloves and tobacco. The ratio of cloves to tobacco may vary depending on the type of clove cigarettes you purchase. These cigarettes have a distinct flavor and smell that appeals primarily to young adults. According to Smokefree.gov, 9 percent of high school students and 5 percent of middle school students admit to having tried clove cigarettes. Indonesia produced the first clove cigarettes in the late 1800s. The cigarettes were used medicinally, as a treatment for chest pain, rather than recreationally. Before long, the distinct flavor of the cigarettes found a following outside of Indonesia. 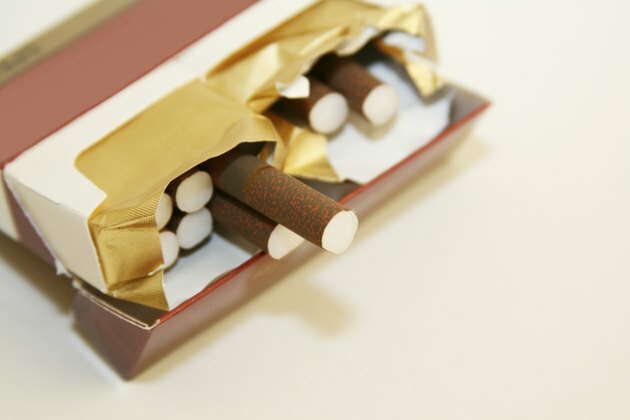 The United States began importing clove cigarettes in the 1960s. The popularity of these cigarettes peaked in the mid-1980s, when up to 80,000 Americans regularly smoked kreteks. Clove cigarettes make a crackling noise as they burn and typically take longer to smoke than the average cigarette. They give off a strong scent of cloves mixed with tobacco and require smokers to draw more deeply when smoking. The cloves themselves contain eugenol, which is a numbing agent. Thus, smoking a clove cigarette may make the smoker’s chest, lips and throat feel slightly numb. While the dangers presented by smoking regular cigarettes are widely known, the dangers of smoking clove cigarettes are not as prevalent. Many smokers assume that because the cigarettes contain a considerable amount of cloves, a natural spice, they aren’t as risky as standard cigarettes. The truth, however, is that kreteks pose a greater health risk for smokers. A report in the St. Petersburg Times notes that the state of Florida banned the use of clove cigarettes in 1985 due to the fact that they contain about twice the nicotine and toxin levels of standard tobacco cigarettes. In 2009, the Family Smoking Prevention and Tobacco Control Act banned the sale of “flavored” cigarettes. Clove cigarettes fell into this category and were immediately pulled from retailers’ shelves. The law aims to reduce the number of children and young adults who become addicted to tobacco through flavored cigarettes. Because the law only applies to cigarettes and not other tobacco products, clove cigarette manufacturers repackaged the cigarettes and began marketing them as “cigarillos” to get around the flavored tobacco ban. Although all tobacco is dangerous, the eugenol in clove cigarettes presents a significant health risk for many individuals. Inhaling eugenol, if you happen to be allergic to it, can result in a severe reaction that can send you into respiratory distress. In addition, the anesthetic effects of eugenol allow smokers to inhale more deeply and hold cigarette smoke in their lungs for longer periods of time, introducing greater amounts of toxic chemicals into the bloodstream. In her book “An Invitation to Health,” Dianne Hales states that eugenol itself has cancer-causing properties. Thus, clove cigarette smokers may suffer a greater risk of cancer than those who smoke regular cigarettes.